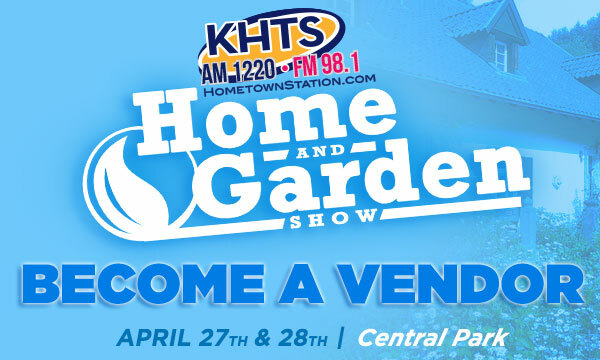 Our annual Santa Clarita Home & Garden show is taking place again on April 27th & 28th, 2019 at Central Park in Santa Clarita. With over 400 vendors, the show is the largest trade show in Santa Clarita. 1) We are the largest trade show in Santa Clarita and the ONLY Home & Garden Show and Emergency Expo. Get in front of 20,000 Santa Clarita homeowners. Over 400 Santa Clarita vendors have already discovered the power of face to face contact with your future customers. Our show is the largest trade show in Santa Clarita. The show is FREE to the public, assuring a large turn-out. No one will be turned away. Your business will be featured on Santa Clarita’s most read website, www.hometownstation.com with over 100,000 unique local visits each month. Your business will receive a listing along with a description of your business as part of our special home and garden section on the KHTS website and on our second unique www.scvhomeandgardenshow.com website. Our KHTS Home & Garden Show is search engine optimized on steroids! Just type in any of any Santa Clarita Home and Garden key words into Google or any other search engine and you will witness the power of our optimization. You’ll find our show listed in almost every organic listing on the first page. As a vendor, your business will be featured on these websites throughout the year, free of charge. The sooner you sign up and place your deposit, the sooner it will appear. It will remain on line through our next show and will stay on for another cycle with your $200.00 deposit toward future shows. 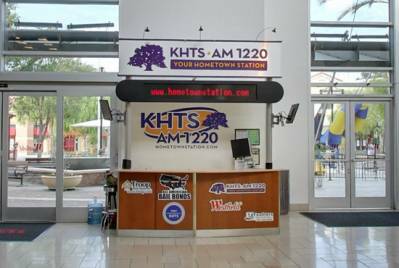 Our KHTS Home & Garden Show and Emergency Expo is produced and owned by the owners of KHTS FM 98.1 & AM 1220 radio, Santa Clarita’s only local radio station. We are a marketing machine, owning not just the radio station, but the most read website in Santa Clarita, www.hometownstation.com, along with a number of other powerful local marketing vehicles (see below). 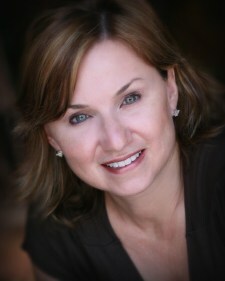 This assures the most powerful marketing for an event in Santa Clarita. Visit Google and type in Santa Clarita Home and Garden Show and see the power of our marketing. In addition to our over the airwaves marketing and on line marketing we have a number of other marketing tools to get the word out. Our daily email KHTS News Briefs are currently read by over 26,000 Santa Clarita residents. This is where more Santa Clarita residents get their news than any other news source. We feature stories about the KHTS Home and Garden show and we include banners and tiles leading up to our show. The KHTS Kiosk is right in the entrance of the Westfield Valencia Town Center, Santa Clarita’s only mall. We are in the most trafficked area (walking traffic) in the Santa Clarita Valley. Westfield estimates over 90,000 mall visitors pass by our kiosk each week. Prior to each show, we display Home and Garden promotional material and signage from our kiosk. Our social media platform is one of the largest in the Santa Clarita Valley, including Facebook, Twitter, Instagram and Pinterest. We currently have one of the dynamic Facebook pages, with active followers who want to stay in touch with our Valley. Our Facebook page has one of the largest amount of followers in Santa Clarita. Our radio station participates in every other major event in Santa Clarita, allowing for cross promotion opportunities for our KHTS Home & Garden Show and Emergency Expo. We have a partnership with our local television station, SCVTV, producing a joint nightly news cast. Our partnership allows us to promote our show on television and through their website. The City of Santa Clarita also supports our event through promotion in a number of their marketing vehicles focusing on the only Emergency Expo in the Santa Clarita Valley, as does our local hospital, Henry Mayo Memorial Hospital who is one of our major sponsors for our KHTS Emergency Expo. In addition, we run advertising in our local print publications, including the Magazine of Santa Clarita, The Signal Newspaper, Santa Clarita Gazette & Free Classifieds, Santa Clarita Living Magazine, Our Valleys Publications, Canyon Country Magazine and banners throughout Santa Clarita including six Paseo banners the week prior to our shows. We also display large portable electronic signs in the nearby streets leading up to our event. 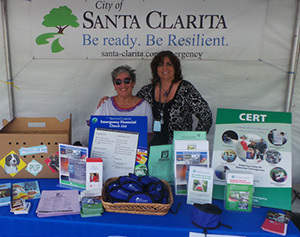 Our 400 vendors include many of the leading Home & Garden and Emergency vendors and agencies in Santa Clarita. Most businesses are their own brands within their categories. It’s a virtual who’s who of Santa Clarita. These are the most trusted businesses and agencies in our community assuring our visitors will feel confident they are meeting with vendors they can be comfortable hiring or making a purchase. The are established, local businesses who will remain in Santa Clarita for a long time. Click here for a complete list of our 2019 Santa Clarita Home and Garden Vendors. Leading up to our show we create a number of contests to create awareness and anticipation for our event. Our contests drive traffic to the show, winners need to show up to collect their prize and to qualify for larger grand prizes. We promote our contests over our KHTS FM 98.1 & AM 1220 airwaves, our KHTS website, www.hometownstation.com, our Home & Garden website, www.scvhomeandgardenshow.com and through our social media. We also have designed a KHTS Home & Garden Passport, limited to just 26 vendors. Our passport is handed out to all guests. They must visit each Passport booth and get their passport stamped in order to qualify for a series of prizes we give out. It’s the perfect opportunity to establish quality interaction with our visitors and your potential clients. 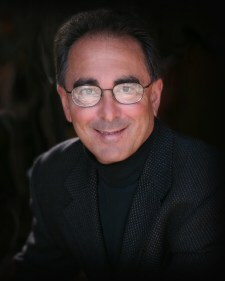 Carl Goldman and Jeri Seratti Goldman, owners of KHTS Radio have been part of Santa Clarita since 1990. They oversee the event in a totally hands-on fashion, assuring you integrity of each event and the ability to instantly overcome any challenges with a quick decision. Customer satisfaction is our number one priority, just ask any of our previous participating vendors. Our partners include The City of Santa Clarita, Henry Mayo Newhall Memorial Hospital, Los Angeles County Fire Department, The Gas Company, Kaiser Permanente, Santa Clarita Sheriffs and SCV Water to mention just a few. Our Home Improvement vendors are many of the leading business including Mini of Valencia, Home Depot, SunPower/Green Convergence, Rowland Heating & Air to mention just a few. Our goal is to assure we have many future Home & Garden Shows and Emergency Expos. That’s why most of our vendors sign up year after year. Our mission is to exceed your expectations because by doing so, our job becomes easier. We limit the amount of vendors in each category. In the past, we witnessed show exhibition owners who became greedy by allowing too many vendors from hot categories such as real estate, solar, water conditioners, pest control to mention a few. By doing so they diluted the amount of potential customers for each vendor and hurt the overall show experience for the public by limiting the variety. We turn away vendors as early as a year prior to each show because their particular category is already sold out. All of our current vendors have first option to renew therefore most of our hot categories are already sold out before we even begin marketing for new vendors. While this has created many screaming matches on the telephone from vendors shut out from participation, we’d rather look long term and protect our current vendors. The success of this philosophy speaks for itself.